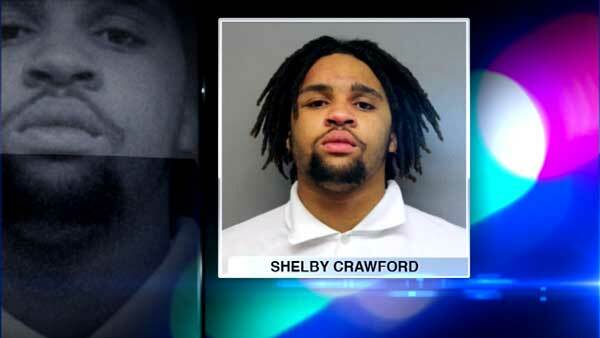 CHICAGO (WLS) -- Shelby Crawford, 18, is accused of shooting a girl, 17, in Chicago's Morgan Park neighborhood. Community leaders said the victim was an innocent bystander. Police said a gang fight broke out in the 1300-block of West 111th Street around 4:15 p.m. Wednesday. The teen girl was standing outside a home when she was caught in the crossfire. She was shot in the chest. The victim was taken to Advocate Christ Hospital and remains in serious condition. Crawford, 1200-block of West 108th Street, was arrested and charged with aggravated unlawful use of a weapon, no FOID card and aggravated battery with a firearm. Prosecutors say Crawford was a "safe passage" worker, but a CPS spokesperson says he was a student support worker. He is being held on $900,000 bond.